Great Jurassic assortment of dinosaurs in both size and variety. 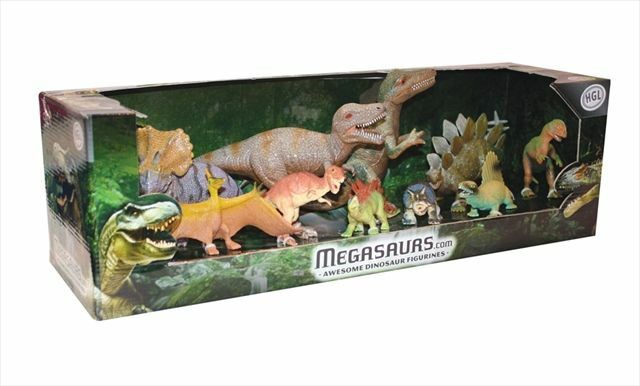 Each set contains 11 dinosaurs of various species and size plus 1 themed accessory, perfect for dinosaur fans and Jurassic collectors. These cool dinosaurs are made from hard plastic and are perfect for kids who just cant get enough of dinosaurs. Styles may vary.